Kim Krause Berg, 58 years old, lives with her family rural hills northwest of Philadelphia, south of Allentown, tucked away on a long winding country road bordered by preserved land. She has helped form thought leaders in our industry into the personalities they are. That includes me, as I spent and still do spend, time in her forums and learn from her and her contributions over the years. She has helped people like Rand Fishkin, Bill Slawski, Ammon Johns, and so many countless people over the years - all stars in their own right. She is a kind, caring and devoted individual who has given more of her time and passion to this industry than most. I often think of her as the caring and thoughtful mother of our industry. The funny thing is, many of our readers don't know her name, but she has literally helped shape the industry as you know it today. Yes, we've covered her and her forums here countless times but she wants no credit and often takes a step back from all of that. Today I get the honor of thanking her on behalf of our industry. Kim was at the forefront of SEO and Usability, and I will always appreciate her knowledge and wisdom in these areas. Her forum was a friendly, welcoming place for people interested in these topics. But Kim's kindness is what I think is her greatest asset. Whatever path Kim chooses to take, be it in the SEO industry or not, it's her level of empathy for all beings that will shine through most of all. Our world needs more people like Kim. Kim Krause Berg Bio: Known globally as an expert in the holistic application of SEO and usability, Kim Krause Berg is President of Creative Vision Web Consulting, LLC, providing Usability Consulting services that take advantage of her 22-years’ experience in usability, user experience, accessibility, information architecture, mobile design, user testing, software application functional and usability testing and organic SEO. She launched Cre8pc.com (decommissioned) in 1996 as a search engine optimization teaching site. Trained in Human Factors in 2000, Kim wrote about and taught what she calls "Holistic UX and SEO" and continues that approach in her work. In 1998, she founded Cre8asiteforums, the first forums to discuss usability and accessibility topics. It was acquired in 2012 by Internet Marketing Ninjas. Her extensive work experience in software testing, internet marketing, human factors, accessibility, information architecture and web design is rare. Kim is a writer, columnist, speaker and taught Basic Website Usability at the now closed Search Engine College for 12 years. In 2016, she launched a second business, PeacefulWraps.com. In 2017, she launched a new site called TheUserisoutthere.com and writes a column for SearchNewsCentral.com. Favorite thing about the SEO community? The people who work in the SEO industry are generally approachable, generous, helpful, and down to earth. One piece of advice to the SEOs out there? Study, practice and work with integrity. There are people in the industry who have been doing the work for over 20 years and donate their time in various forums and groups. They are excellent resources for quality support. Favorite things in general? My mom was an equestrian and I was raised with horses. My favorite past time is working at the stable owned by my horse riding trainer whom I’ve known since I was 10 years old. 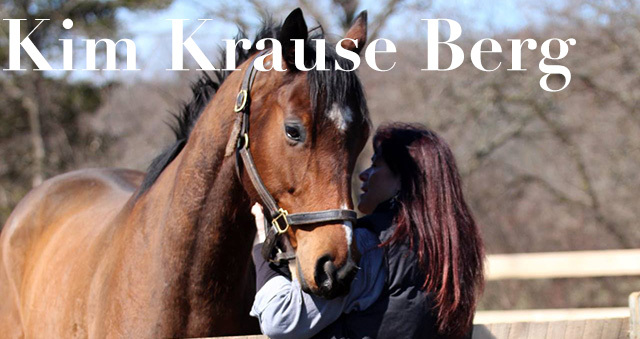 We work with race horses who are retired and ready for new careers and adoption. It’s very rewarding work to see these horses go on to work with autistic young people, or become police horses, or therapy horses. Photography, books, macrame and gardening are my passions. What you want to be known for in the SEO space? As many people know I started out in while I was a single mom with two young kids who was about to be homeless after being laid off my web design job. I had been moonlighting at night as an SEO and had already launched Cre8asiteforums. I promised my landlord I would get a job and make rent, which I did using my SEO and web design experience. Hired as a User Interface Engineer, I also did the SEO for my co-workers who had websites. Everything I learned, I shared on my Cre8pc SEO teaching site, Cre8asiteforums, and many forums, groups, and email subscription lists. When I was trained in Human Factors and Usability, and fell in love with it, I figured out how to combine SEO with UX. It’s that union that I’m known for. Today, I provide usability, accessibility, mobile and conversions site audits for digital marketing companies and site owners who need someone they trust will support their SEO and internet marketing strategies. To learn more about Kim check out her web site and of course the Cre8asite forums.